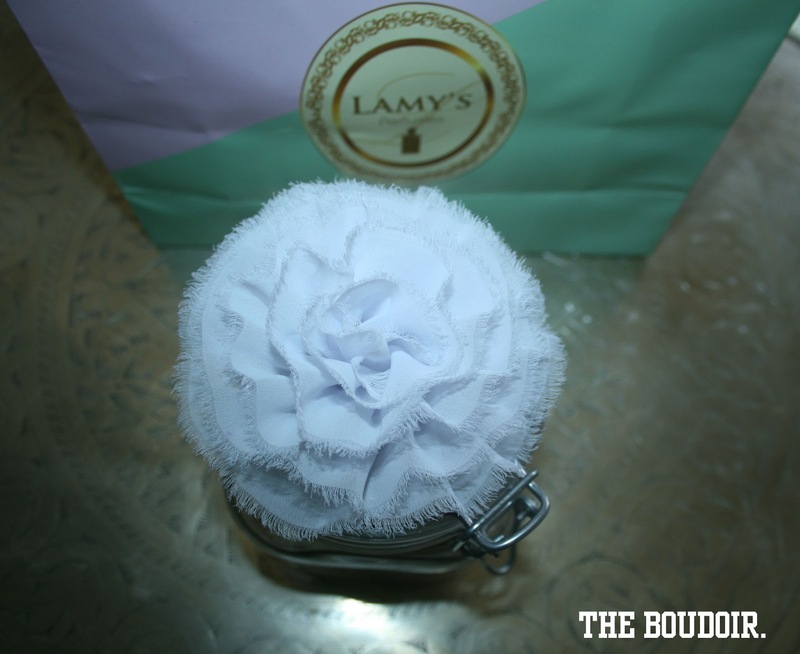 This could easily be a flower post, with the lovely flower ruffle and flowery perfume. But it won't. 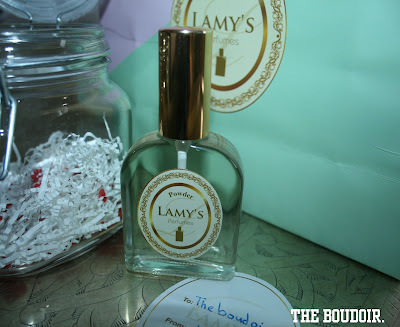 I got this really pretty gift from Lamy's Perfumes, which you may have come across in the blog before (link), I'm a big fan! And I love that I got "Powder". I love all light powdery perfumes. One perfume I'm especially in love with from her collection is "Pink Rose". Lamy's Perumes can be delivered inside and outside of Kuwait and she already has international clients in Europe! They are also available in 52 Degrees and Al Rawda Co-op for now. وصلتني هالهدية الرائعة من مصممة العطور الكويتية لاميز واللي كنت كاتبة عنها كذا مرة. أنا من عشاق عطورها وذوقها بالعطور. استانست لما شفت ان الهدية عطر اسمه "باودر" لأني أحب العطور الخفيفة اللي مايلة على رائحة الباودر. من عطورها المفضلة لي هي "بينك روز". لدى عطور لاميز خدمة توصيل حتى خارج الكويت ولديها زبائن حتى في أوروبا! 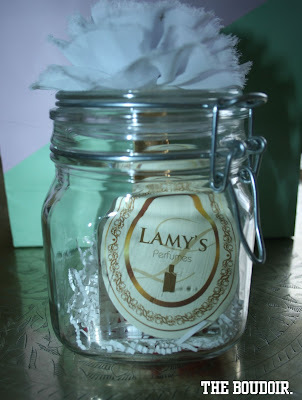 والعطور موجودة حالياً في 52 دقريز وقسم العطور في جمعية الروضة التعاونيه. I'm a travel expert, a fashion fanatic, and a book worm. I have an interest in a lot of things; the old and the new, the unique, the weird, the hip, the yummy, and the wearable. 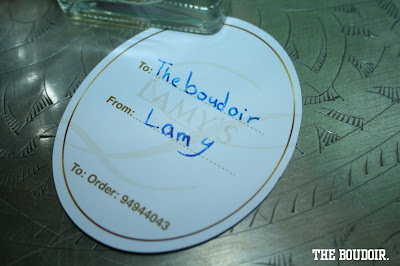 the boudoir 2009-2013. Powered by Blogger.